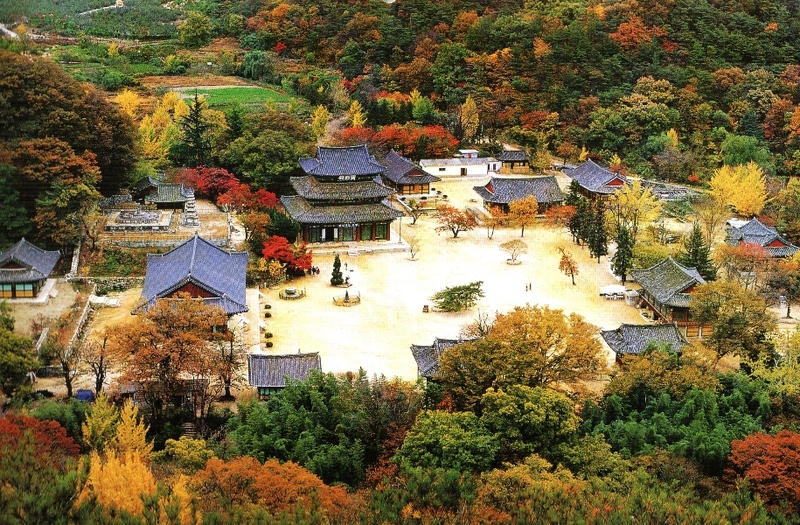 center of Joseon Dynasty Neo-Confucian / Royal culture, in the center of North Jeolla Province. This mountain might be considered to be one of her primary daughters, the central-root of North Jeolla. 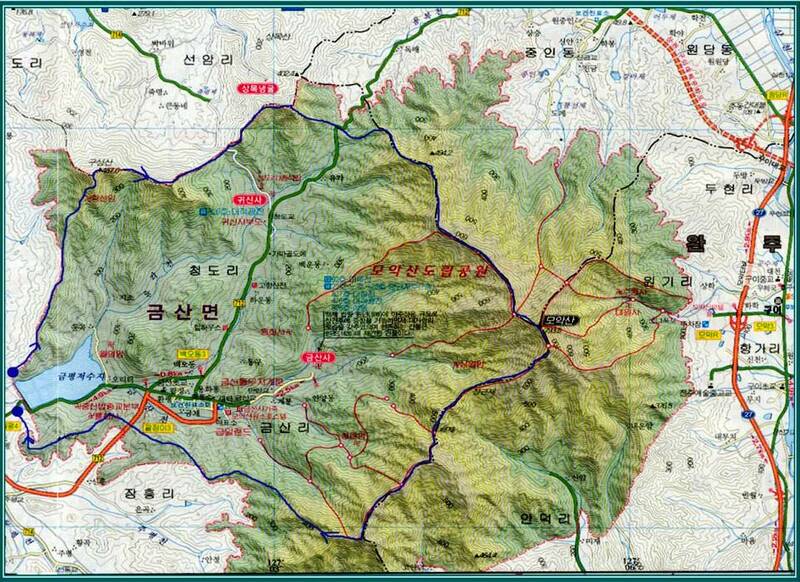 It is the most important member of a Gimaek Range branching-off from the Honam-Jeongmaek Range. 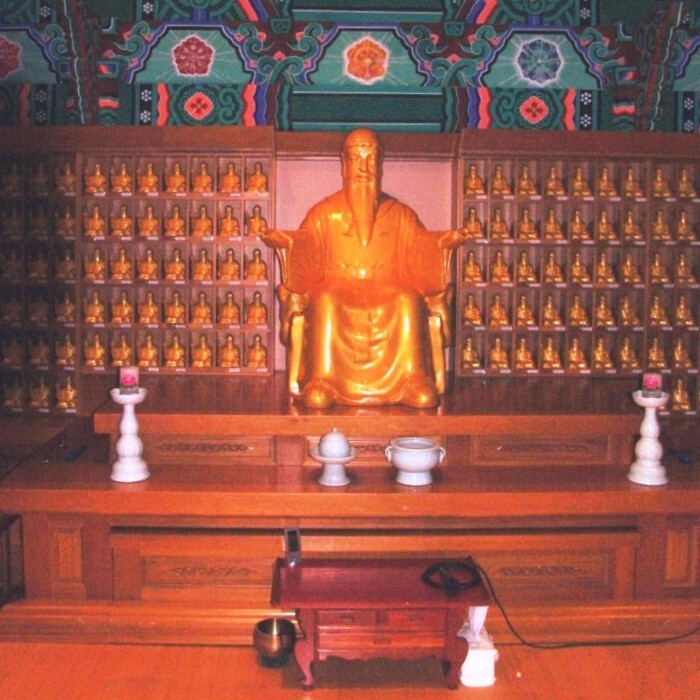 Its most famous sacred site is the great Geumsan-sa or “Golden-Mountain Temple”, see next page. 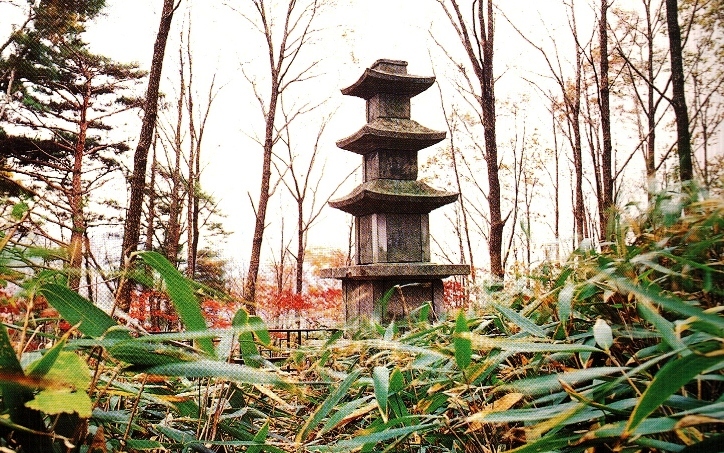 Moak-san became a medium-sized Provincial Park in 1972. Its summit is 793 metres high. and great reputation, but that lasted less than 20 years. 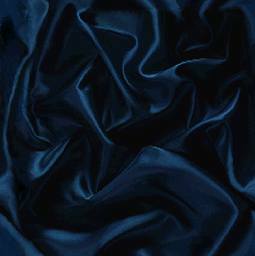 Moak-san), and therefore in religious usage, the highest view or truth attainable. Schoolyards' project that proved controversial (opposed by Protestant Christians) in the late 1990s. exist as One in each person".